DAVID LE/Staff photo. 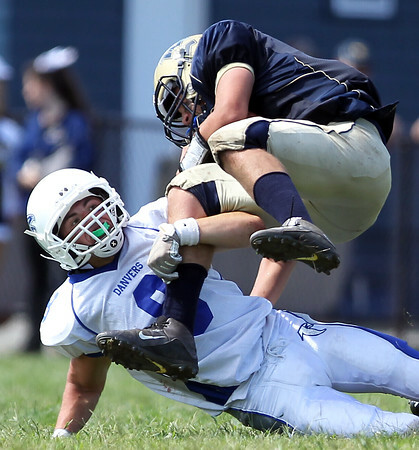 Danvers senior Daniel Papagelis (8) drags down Winthrop running back Jaidon Brown as he tries to leap over Papagelis. 9/12/15.